An adult male Taricha granulosa in breeding condition. and about 29 other people. Gartersnakes eat newts. I mentioned this remarkable fact in my article on the Scientific American Guest Blog, but it's interesting enough to warrant a more detailed treatment. In 1990, Edmund D. Brodie III and his father, Edmund D. Brodie Jr, published a paper in the journal Evolution that provided the first evidence of a pair of species in a highly coupled arms race. Previously, the concept of an arms race had been criticized because the potential cost to the prey (loss of life) was perceived as more dire than the potential cost to the predator (merely the loss of dinner). This imbalance, known as the life-dinner principle, led scientists to suggest that tightly co-evolving arms races between predators and prey could not exist, because selection pressure on the predator would always be less than that on the prey. However, reasoned Brodie & son, if the prey's defenses are lethal, then selection might be equally strong on both predator and prey, because only highly resistant predators could survive a predation event. This is the case in the predator-prey dynamic between the Rough-skinned Newt (Taricha granulosa) and the Common Gartersnake (Thamnophis sirtalis), which is centered around a toxin called tetrodotoxin. 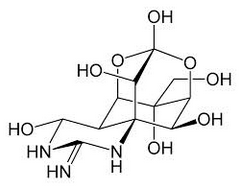 Tetrodotoxin is a very interesting chemical. James Bond was poisoned with it at the end of From Russia with Love (and saved by an antidote, which does not exist in real life). It's responsible for the tingling sensation caused by eating properly prepared fugu (and woe betide those who consume this Japanese pufferfish dish improperly prepared). Named after the pufferfish family, it is found in a wide variety of organisms, from flatworms to the blue-ringed octopus, its biological origins are enigmatic. Many species are thought to sequester it from symbiotic bacteria, although some, including newts, are believed to be capable of synthesizing it themselves. In the lab, tetrodotoxin is created under conditions of extreme heat and pressure, and how this molecule is generated inside of living cells is a mystery. Furthermore, it is an extremely potent poison: tetrodotoxin binds to and occludes the extracellular pore of voltage-gated ion channels embedded in muscle cell membranes, preventing the flow of sodium ions into the cell and interrupting the action potentials necessary for muscle contraction. This is not unlike the effect produced by local anesthetics, which also block sodium channels, but with two important differences: they do so from the inside of the cell and their effects are reversible. gartersnakes have essentially no resistance. The elder Brodie showed in 1968 that many predators died if they were forced to eat newt, including bobcats, herons, kingfishers, moles, weasels, bass, catfish, and most snakes, including racers, rattlesnakes, gophersnakes, whipsnakes, rubber boas, and sharp-tailed snakes. Notably, Common Gartersnakes survived, although they were temporarily incapacitated. Brodie realized that he could measure snake toxin resistance by timing how long a snake was incapacitated for or how much its crawling speed slowed down when it was given a standardized dose of tetrodotoxin. 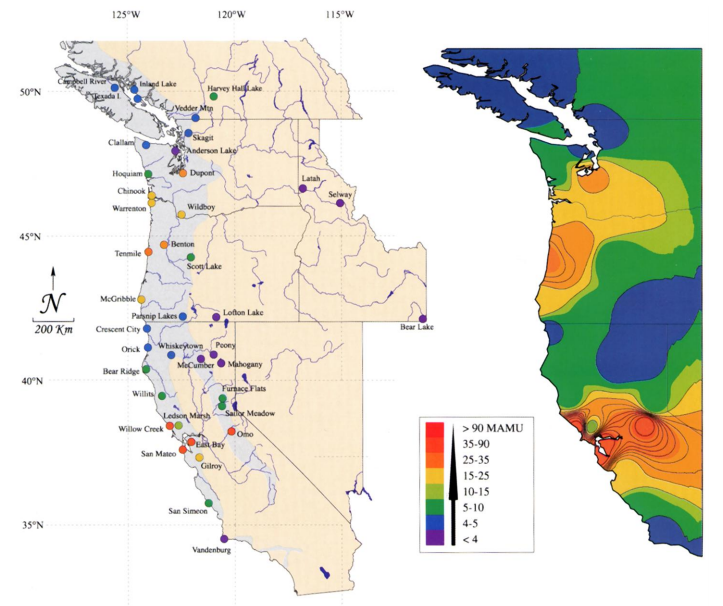 Using this method for measuring resistance, the Brodies demonstrated that newt toxicity and gartersnake toxin resistance co-vary predictably across most of the Pacific Northwest; for example, on Vancouver Island, newts have very low levels of TTX and gartersnakes have almost no resistance to the toxin, whereas in central Oregon and in California's San Francisco Bay area, newts are tens of thousands of times more toxic and gartersnakes have correspondingly high resistance (for the most part, but read on!). It's now known that a number of different snake species are resistant to tetrodotoxin and are capable of eating newts and other TTX-laden prey with impunity. These include two other species of gartersnake, the Santa Cruz gartersnake (Thamnophis atratus), which also eats Rough-skinned Newts, and the aquatic garter snake (Thamnophis couchii), which preys on California Newts (Taricha torosa). A Japanese newt, Cynops ensicauda, is eaten by Pryer's Keelback (Amphiesma pryeri). Some frogs also have tetrodotoxin, and two species, an Atelopus toad in Central American and a Polypedates treefrog in eastern Asia, are respectively eaten by the dipsadine Erythrolamprus [Liophis] epinephelus and the natricine Rhabdophis tigrinus. Not only has tetrodotoxin resistance also arisen in these other species of snakes around the world, but the mechanism, which involves changing the shape of the sodium channel pore so that the toxin binds less tightly, has evolved the exact same way in each lineage of snakes, via functionally identical mutations to the gene sequences. This is remarkable because these snakes are moderately but not very closely related to one another, and even more so because pufferfish also have many of the same mutations. These mutations are not found in humans, rats, most snakes, or other non-resistant vertebrates. All this suggests that there are a limited number of ways that evolution can change a sodium channel to make it more resistant to TTX and still maintain its function. In most cases, these and other natricine and dipsadine snakes are probably resistant to multiple prey toxins, as they are known to regularly consume other toxic amphibians and invertebrates. Although all newts and some other amphibians possess TTX, T. granulosa is many times more toxic than any other species, and its primary predator is many times more resistant than any other snake. Common Gartersnakes themselves actually retain sufficient quantities of newt-derived TTX in their liver for one to two months after eating newts to severely incapacitate or kill their predators, which was the general subject of my original article. Whether or not any of the other TTX-resistant species sequester the toxin remains unknown, although it seems likely. In a few places, Common Gartersnakes have evolved such high resistance to TTX that they have effectively "won" their arms race with their newts. Because snake TTX resistance apparently evolves in a stepwise fashion, with each new mutation to the snake sodium channel pore structure rapidly making it much tougher for TTX to bind tightly, gartersnakes are capable of making quicker leaps in the arms race than are newts, which presumably must evolve higher toxicity by increasing the amount of TTX they produce. Eventually, some gartersnakes seem to have reached a point where no amount of TTX could incapacitate them, so their newt populations (which were already pretty toxic) stopped being selected to produce more toxin. Since we don't really know how they get their toxin in the first place, they might be limited in their ability to produce or sequester it or its precursors. There's much left to discover about this system, which is perhaps one of the most interesting in snake biology. 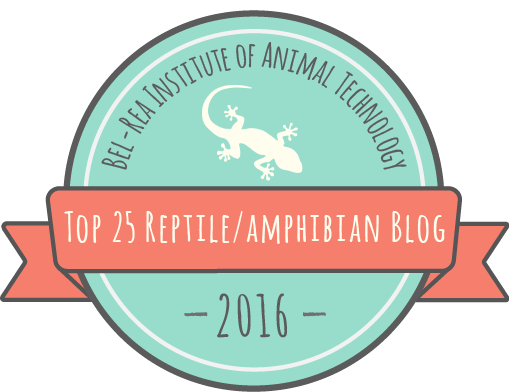 Where are newts getting tetrodotoxin from? How many other times has TTX resistance evolved in snakes, and has it happened the same way every time [Update: the answer is no!]? To what extent are gartersnakes using newt-derived TTX to protect against their own predators? Someday, we will find out. Thanks to current and former members of the Brodie lab, especially Dr. Edmund D. "Doc" Brodie Jr., for discussing this system with me over the last three years.